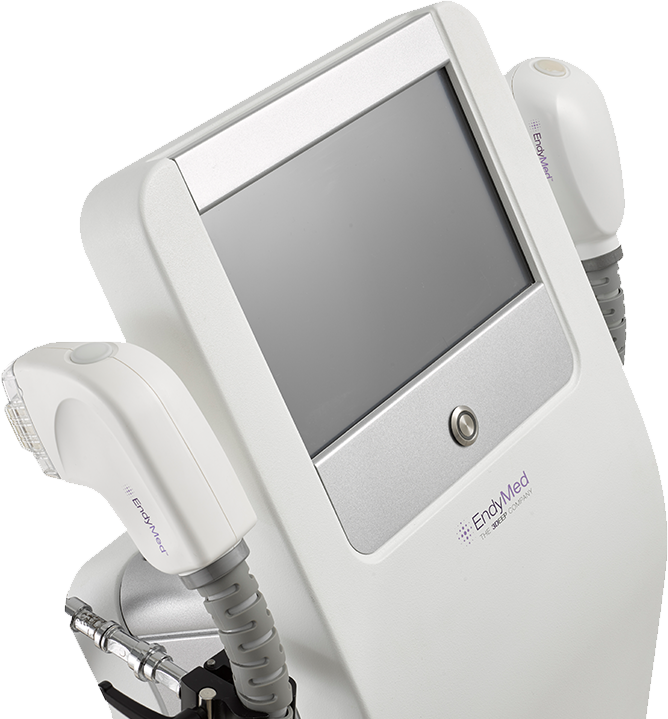 The EndyMed PRO is an all-in-one treatment platform that is exible and upgradeable, which will grow as your practice grows, delivering impressive ROI. The EndyMed PRO delivers outstandingly effective, consistent and flexible solution, setting a new standard of excellence for your patients and your practice. Fusing technological innovation and user flexibility. The sleekly designed EndyMed PRO gives you a multi-application treatment platform, ready to use with all EndyMed treatment hand pieces. The EndyMed PRO, powered by unique, FDA cleared 3DEEP RF technology, offers innovative and effective aesthetic solutions for non-surgical lifting, tightening, contouring, skin resurfacing and RF Microneedling for the face, neck and body. The EndyMed PRO is an all-in-one treatment platform that is flexible and upgradeable, which will grow as your practice grows, delivering impressive ROI. Popular PRO treatments include skin tightening, wrinkle reduction, body contouring, texture improvement, cellulite reduction, circumferential reduction, acne and acne scar reduction, stretch mark reduction, RF Microneedling and fractional resurfacing. 2.iFine Handpiece Specially designed for the treatment of wrinkles and lax skin on delicate skin tissue around the eyes and mouth. 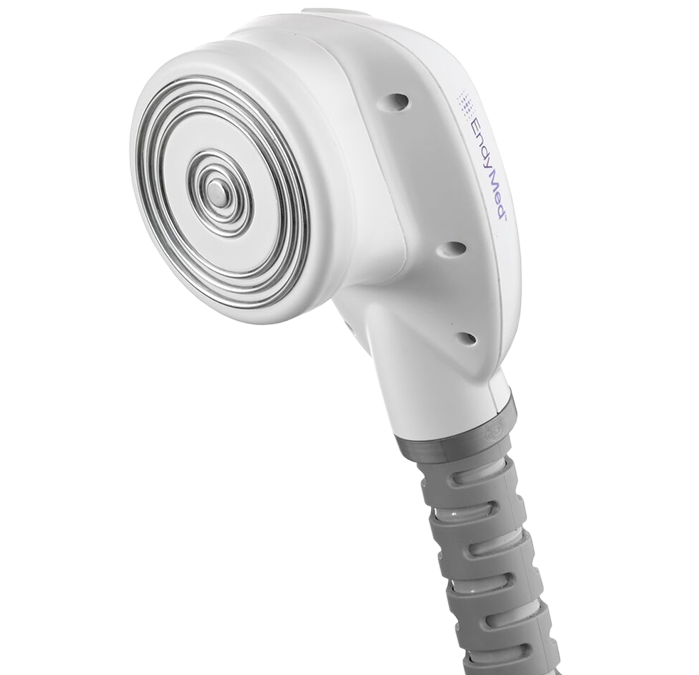 3.Small Handpiece Specially designed for skin laxity treatment of smaller body areas such as peri-umbilical, neck, arms and knees. 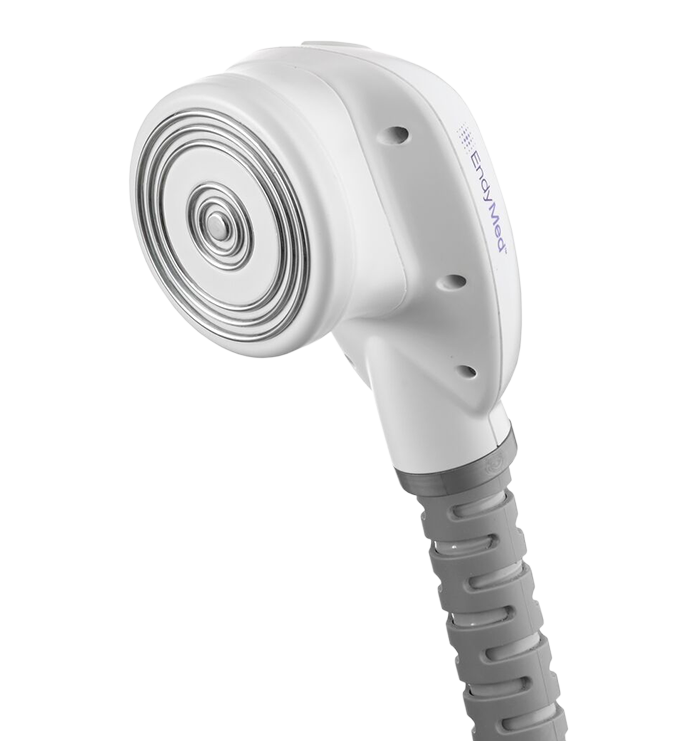 4.Large Handpiece Specially designed for the treatment of skin laxity, body shaping and circumference reduction in larger body areas. 1.Shaper Handpiece For e ective body tightening, shaping and cellulite treatments. 2.Mini Shaper Handpiece Focused RF treatment for the jaw-line, under the chin, jawline, arms and knees. 1.Fractional Skin Resurfacing Handpiece Specially designed for fractional skin resurfacing and treatment of skin roughness, hyperpigmentation, wrinkles and scars on both facial and body areas.